Scanned is an organic wavetable oscillator. 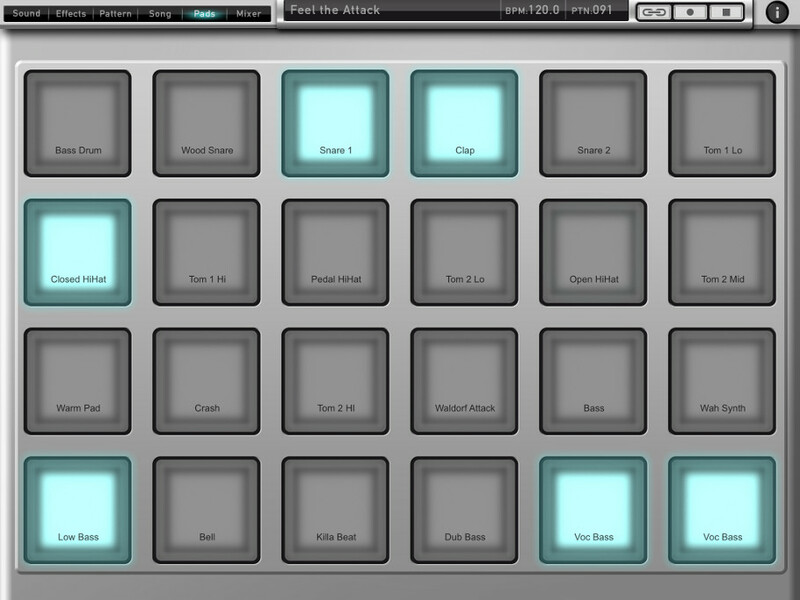 It uses an unexplored technique known as Scanned Synthesis to animate wavetables that are created in real-time. This synthesis method was conceived by the father of computer music, Max Mathews, as the next paradigm in digital oscillators, and until now, has never been implemented on hardware. The wavetables are dynamically generated from a set of “objects” tied together on a virtual string. These objects have physical properties including Mass, Stiffness, and Damping which affect the way that the string moves through space and time. Unlike physical modeling, however, this algorithm is a means of creating new electronic sounds, not replicating acoustic instruments. To animate the waveform, the objects are morphed into the currently selected hammer shape and then released. This excitation of the sound generates evolving timbral landscapes that contain harmonic movement without external modulation. The hammer section also determines whether Scanned is a free-running oscillator, or a triggered sound source allowing it to function as a complete voice without additional filters or VCAs. This is a digital effect module that can take a sine wave and turn it into a wavetable, it can also be used as a complex distortion module. 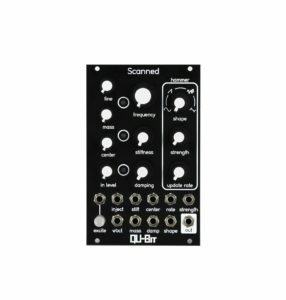 available now from most Eurorack Module dealers it retails around $289, get it direct from Audio Damage . It is a true stereo module as well. » The WAVE/ALGO knob and CV input control which wave or algorithm is active. In LOOKUP mode, the knob controls which of sixteen tables the input will scan. In ALGO mode, the knob controls which of nine algorithms will affect the input. » The PARAM 2 knob, in LOOKUP mode, controls the start position of the table. It can effectively be thought of as a phase control. In ALGO mode, its function varies, and it is not used in every algorithm. » The MIX knob controls an equal power wet/dry mix. At full anti-clockwise, you only hear the input, and at full clockwise you only hear the effect. » The MODE switch controls whether the module acts as a wavetable scanner or a waveshaper. In LOOKUP mode, the wavetables are active, while in ALGO mode, the algorithms are active. 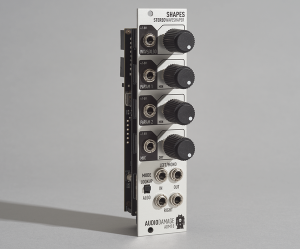 » Shapes is true stereo; the left and right signals do not intermingle internally; thus you can, for instance, run a kick in the left channel and a snare in the right, and vary the effect by attenuating either channel before it enters the module. » 48kHz 24 bit audio path with a high-quality Cirrus-Logic AD/DA convertor. 10Vpp CV control over all parameters. » USB port (on the PCB board) for easy firmware updates. » High-quality 100% Made In The USA construction, including panel-bolted 100,000-cycle BI potentiometers and custom stamped Rogan knobs. » Power draw is 40ma from the +12V rail and 9ma from the -12V rail. This module has an on-board regulator and does not require +5V. Module depth is 25mm. » Shapes, like all Audio Damage hardware products, includes our lifetime unconditional warranty. 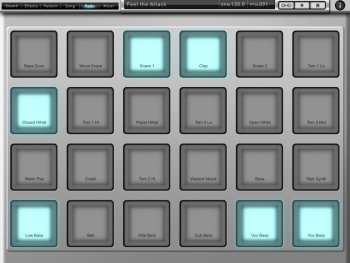 Waldorf Slickly Announces New iOS Drum Synth App!